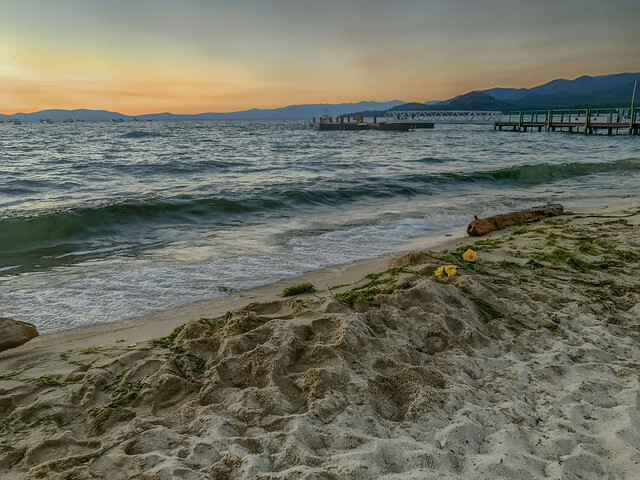 Lake Tahoe is all about beaches. Well, mostly! All you need to do is park yourself at one of them and you’re set for the day/afternoon/evening. In summer months, as everyone flocks to the cool waters of the lake, all beaches and Vista points close to water can get pretty crowded and it can become nearly impossible to get an official/decent parking spot. Some folks do manage to park on the side of the highway and walk miles with their entire beach gear (tents, chairs, food) to their spot of choosing. Probably best to visit Lake Tahoe in an off season to steer clear of the crowd.